Chronicles of Livin Podcast is about everyday people, doing everyday things, living everyday life. 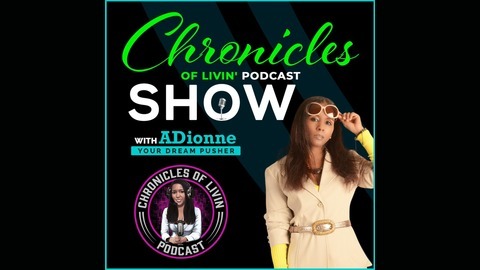 Hosted by, "ADionne - Your Dream Pusher, (Podcaster, Entrepreneur, Author, Transformational Coach/Speaker and Blogger)" Live “Let’s Talk Sundays” 7 pm EDT. The purpose of this podcast is to provide the tools, inspiration, and motivation to keep pushing in every area of our lives. To enable us to become better beings for our family, friends, self and the world. This is a good old talk podcast show with topics dealing with everyday life situations and ways to keep our body, mind, and spirit healthy naturally. Also, from time to time, there will be conversations with everyday people and entrepreneurs that have beaten the odds to create a successful life. We will spotlight undiscovered talent, people sharing their dreams, visions, failures, and methods of how to start over. Together we will learn and share with each other the best way to navigate in this world and be successful while doing it! "Remember the best part of life is when you decide to live!" And don't forget to favorite the episodes you like best and to leave a comment if you've got something to say. 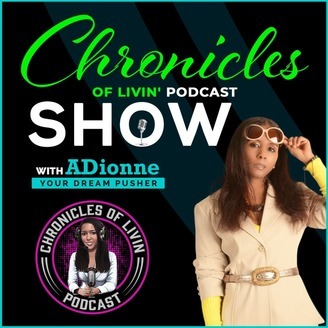 ADionne "Your Dream Pusher" www.chroniclesoflivin.com. TIME TO STOP THE VOICES! ALLOW YOUR REBIRTH! Some of us allow negative voices in our head, such as doubt, shame, and fear. Block us from our blessings and great opportunities God wants to give us. Let's Talk!